FAQs – Rollin Tide Boil Co.
Where is Rollin’ Tide Boil Co. located? We require a 24-hour notice (subject to availability). We book up for some weekends months in advance, so please contact us as early as possible to ensure that you get your preferred date. 1a. Click on ‘Get a Quote’ under the event type you are interested in and complete the form. A quote will then be emailed to you listing all applicable pricing, upgrade options, and details of what to expect with your event. 1b. Or… You may always contact us by phone at: (361)416-0416. After answering a list of questions, a quote will then be emailed to you listing all applicable pricing, upgrade options, and details of what to expect with your event. 2. Once you have reviewed your quote, call us at (361)416-0416 to make any changes, add upgrades, or simply to book your event. Please remember all of our event dates are first come, first serve and until we have received your 50% deposit your date is subject to someone else reserving it before you. ** Please note: Bookings will NOT be considered finalized without speaking to one of our Booking Agents at the phone number above. Bookings via Voicemail messages or Email are NOT allowed. To complete your reservation, you MUST speak to us via phone AND we must receive your 50% deposit. Is there a minimum/maximum number of guests? No. We have done Beach Boils and Bonfires for as few as 2 guests and we have the capabilities to serve 300 or more guests. What if my headcount changes or I’m not sure how many people will be there for my event? If you are trying to get your date booked, we suggest using your best guess for the number of guests expected. You can make changes to your Final Headcount up to 48 hours from the event. Any changes to your number of guests will be adjusted on your Final Balance due. Are your events private or public? All of our events are private. You and your group will be the only guests at your event. What time do you start your events? In the summertime, due to the heat and the time of sunset, we begin our Beach Boils typically at 7:00PM. We have found this time of day to be the most conducive to providing you the best experience possible. It’s a bit cooler, provides plenty of bonfire time after dark, and time for the kids to hunt crabs! My kids are young and used to going to bed early, can we start earlier? Unfortunately, due to the heat of the summertime the earliest we can start an event would be 6:30PM. We have found however, that most kids who normally go to bed around 7:00 or 8:00PM tend to be running around at 10:00PM and not ready to go home, due to the excitement our Beach Boils & Bonfires bring… Oh yeah, and the S’mores!!! Another option would be to leave the little ones that need to go to bed early at home and book one of our preferred Child Caregivers (an upgrade option). We serve The Beaches of 361 including North Padre Island, Mustang Island, and Port Aransas area beaches. I’m staying beachfront, can you set up directly in front of our vacation home/condo? Yes, if you are staying on North Padre Island or on the Corpus Christi portion of Mustang Island (From Beach Marker 62-250). Unfortunately, due to a Port Aransas law, we aren’t allowed to setup directly on the beach (From Beach Marker 1-62). 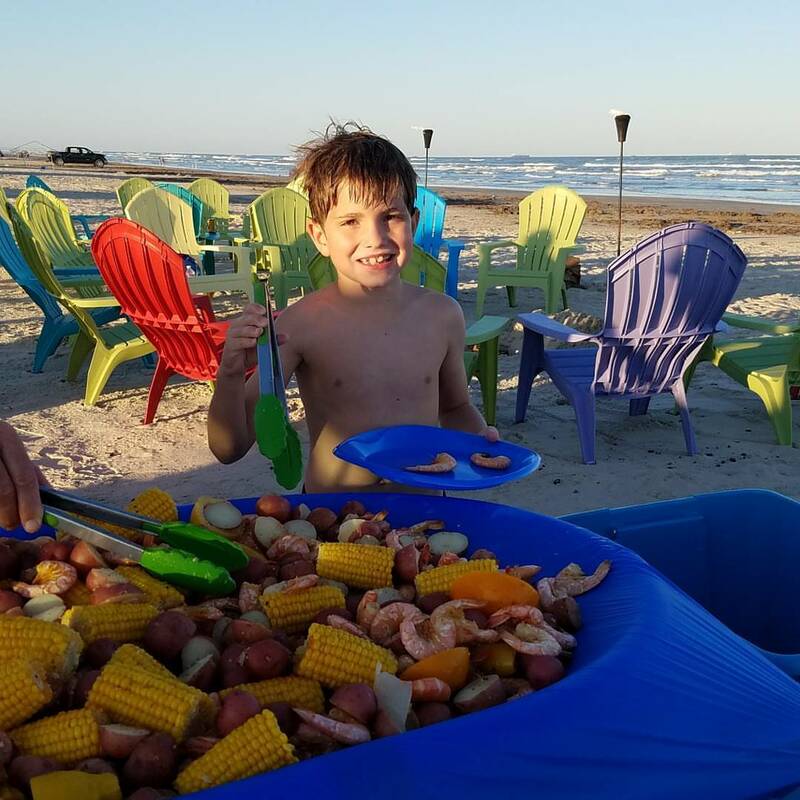 But no worries, if you are in Port Aransas we can host your Beach Boil & Bonfire near the jetties and scenic Caldwell Pier in I.B. Magee Beach Park (which is controlled by Nueces County). 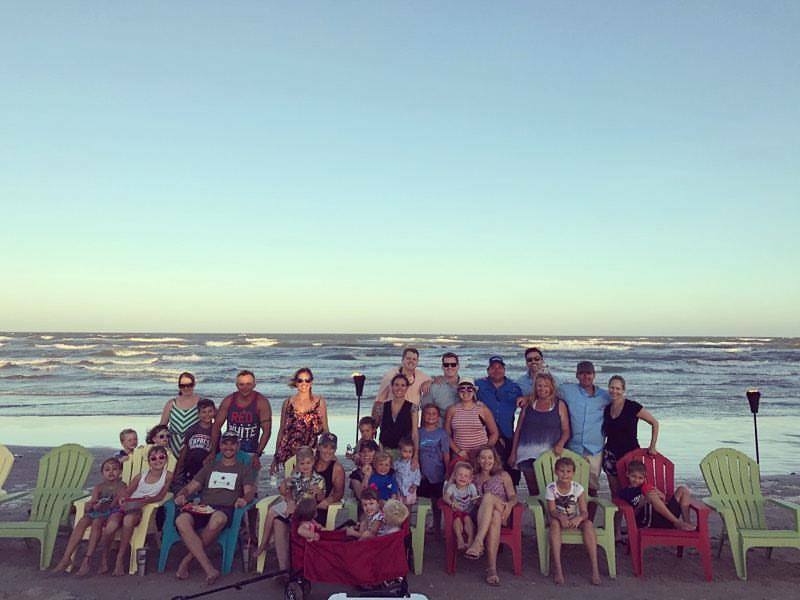 This stretch of beach is at the northern end of Port A’s Beach and is only a short 5-minute drive by car or 5 to 10-minute ride by golf cart from virtually anywhere in Port Aransas. What if there’s bad weather the evening of our event? 2. Secondly, if changing your night wasn’t possible (due to it possibly being your last night in town) we would hold your event at your vacation home or other venue (if possible). We even have a portable bonfire pit for this circumstance, so the kids still get S’mores. 3. Lastly, if neither of those options work for you, then we will hold onto your deposit until a future date when we can serve you. If you cancel your booking, we will apply your deposit to a future booking. Refunds will only be made in extreme circumstances and are at our discretion. No, we do not. We do offer Snow Crab Legs as an upgrade option to your Boil. Some of our group don’t like a lot of Spice… What can you do for them? 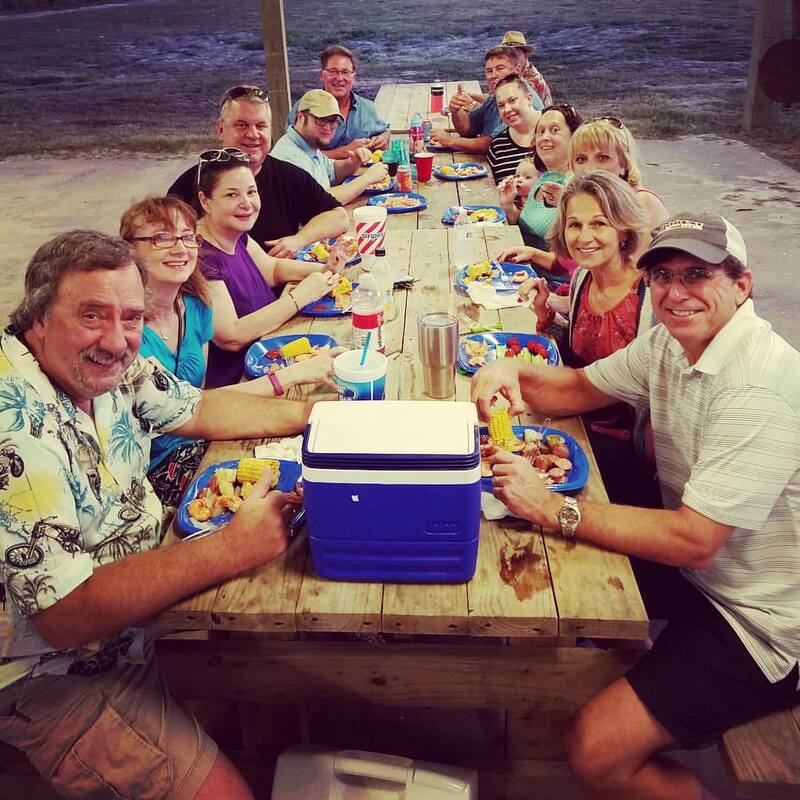 On all our Boils, the Spicy seasoning is shaken over the top of the Shrimp Boil on the serving table and we always leave one end of the Shrimp Boil virtually Spice-free. That way, whether you have small kids or non-spicy eaters, everyone can enjoy their food! Also, there will be extra Spice Shakers on the table for the Extra-Spicy eaters!! Where do you get your Shrimp from? 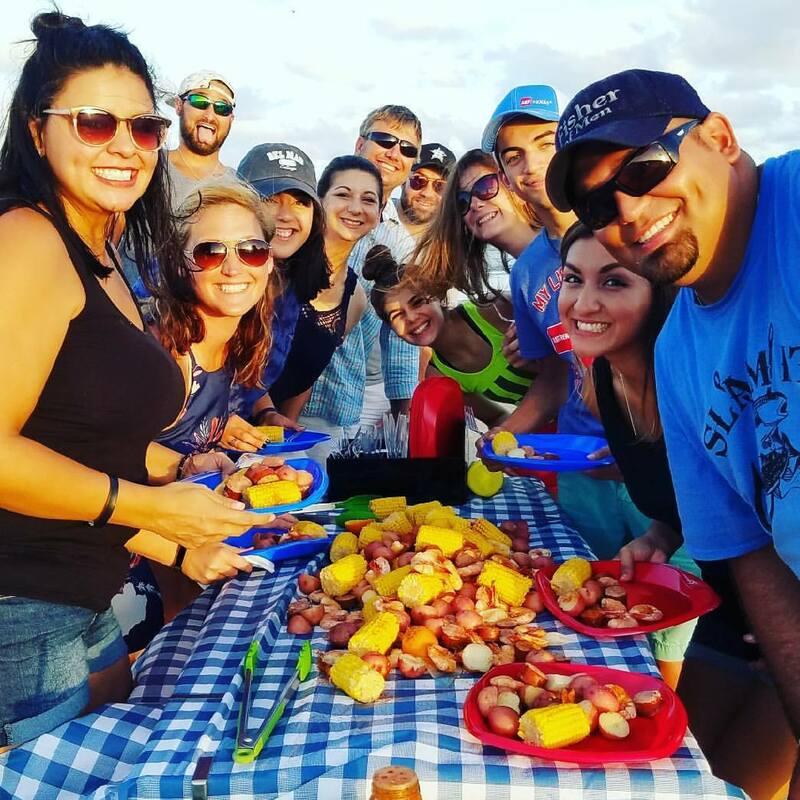 We take great pride in only serving WILD Shrimp caught in the Gulf of Mexico waters. We buy all of our Shrimp locally. We are afraid there might not be enough food? We also take great pride in our portions. 95% of our guests do not finish all the Boil and all leftovers are sacked up for you to take home and enjoy the next day. All of our events are BYOB, so just pack a cooler(s) with whatever your guests will want to drink (if on the beach, please no glass). We do not provide cups or ice with our events, unless you choose the Ice Chest Upgrade option. Do you serve anything other than seafood? The only non-seafood option we offer is Hot Dogs for the kids. We offer reduced portions and pricing for children under 12 years old who want to eat the Shrimp Boil. The only other food option we have for children are Hot Dogs. Do you offer any substitutions for people with seafood allergies or dietary restrictions? No, we do not. However, if you have a guest with a known food allergy or dietary restriction we can make an allowance for that guest to bring their own food to the event. Just omit them from the number of Boil guests but be sure to include them for the Bonfire so that they get an Adirondack Chair and S’mores!! We have picky eaters - Can they not be included in the dinner portion of the event? Can they bring their own food? We understand that not everyone likes seafood (or it doesn’t like them) so… we allow for outside food to be brought in for these guests. Just omit them from the number of Boil guests but be sure to include them for the Bonfire so that they get an Adirondack Chair and S’mores!! How early do you serve dinner? The Boil is normally served between 15-20 minutes of your arrival. We like for you to have a few moments to relax in our comfortable Adirondack chairs and enjoy a beverage before eating. Can we have a Boil at our house? Absolutely! We understand some people would rather just have everything brought to them. That is why we offer our Backyard Boil option. Can we have a Beach Boil WITHOUT the Bonfire? No. 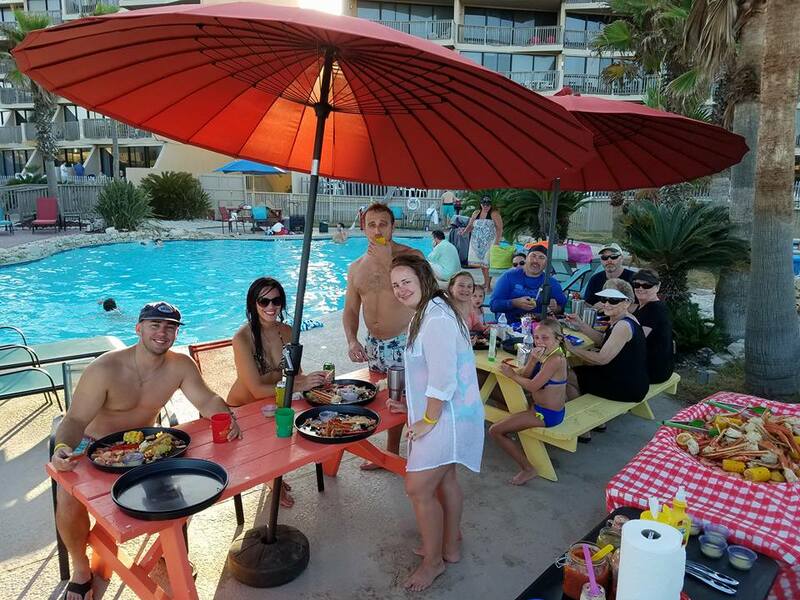 In our Beach dining packages we only offer them as a package. If you only want the Boil we do offer the Backyard Boil as an option, where the Portable Bonfire Pit is optional and you can still enjoy the S’mores. Can we have a Beach Boil and just build our own Bonfire? No. We try and maintain consistency in the appearance of all our events and the proper extinguishing of the bonfire is our responsibility, if it is our dinner. If you have someone with a medical condition where they require a special chair, then yes. Otherwise, we try and maintain a common theme with the appearance of our events. Can we bring our own chairs to a Beach Bonfire? Can we have a Bonfire at our Vacation Home? In most cases the answer is Yes. We have portable bonfire pit(s) which we can bring to your location. Safety is always paramount with us, so unless we are already familiar with the property, a pre-event site inspection may be necessary to confirm there is space for the bonfire pit. There is no charge for this and in most cases we will be able to find a suitable and safe location for your bonfire.